U.S. News & World Report ranked Baylor Law’s highly respected trial advocacy program #3 in the nation. Baylor Law also ranked #51—a four spot jump from last year—among fully accredited law schools in the "Best Law Schools" category of the magazine's 2018 edition of "Best Graduate Schools." The U.S. News & World Report rankings of the nation's 197 accredited law schools were calculated on a weighted average of 12 measures of quality, including: student selectivity, placement success, faculty resources, and assessments by peers, lawyers, and judges. The trial advocacy ranking is based solely on nominations by legal educators of peer institutions who teach in the field of trial advocacy. "Our curriculum integrates advocacy training at every step," said Baylor Law Dean Brad Toben. "The education of every Baylor Law student includes a required internal moot court competition during the first year; three years of legal writing courses focused upon written advocacy; extensive opportunities to compete on moot court, mock trial, and client counseling teams; and of course, the rigorous Practice Court program in the third year,” Toben said. The results of the Law School's integration of advocacy training can be seen in the performance of the school's student advocacy teams. This year, Baylor Law teams won the regional competitions for both the Texas Young Lawyers Association National Trial Competition (NTC) and the American Association for Justice (AAJ) National Student Trial Advocacy Competition. The NTC is a marathon event open to every law school in the nation, and consistently includes more than 300 teams. Also an open competition, the AAJ competition routinely draws a large and very competitive field of competitors. As winners of the regional competitions, the two Baylor Law teams will compete later this year in the national competitions. 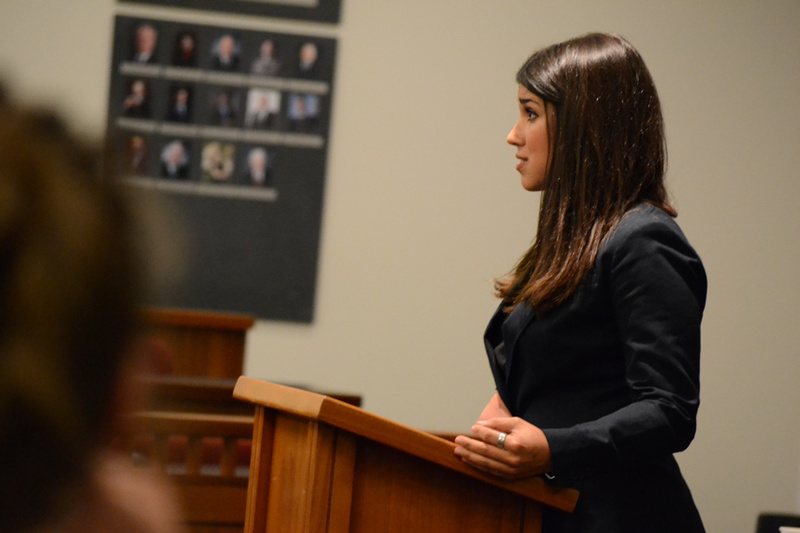 Baylor Law's moot court teams have also excelled, both in written and oral advocacy. Baylor Law students won both first and second place in the 2016 National Veterans Law Moot Court Competition. Over the course this competition year, Baylor Law will have sent 42 teams to compete in 29 competitions. "Other law schools know that our teams will provide stout competition," said Professor Patricia Wilson, chair of Baylor Law's Advocacy Committee. 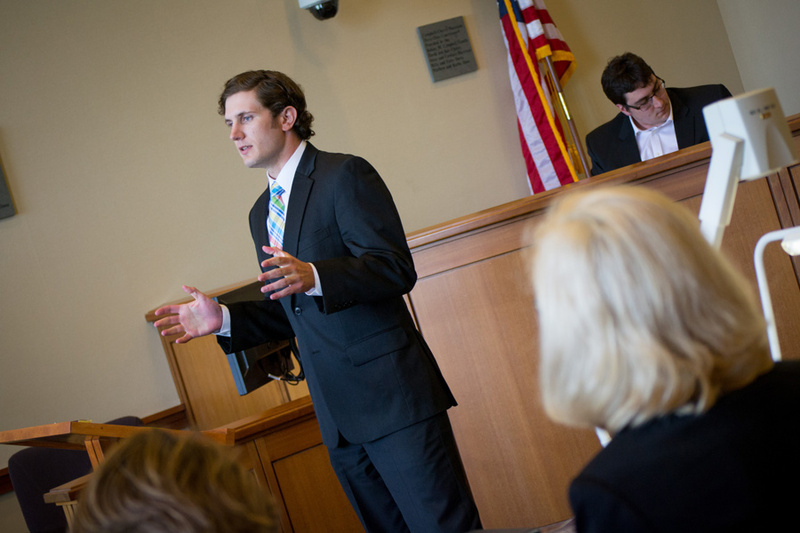 In addition to fielding teams in advocacy competitions across the country, Baylor Law also hosts its very own mock trial competition—the Top Gun National Mock Trial Competition. 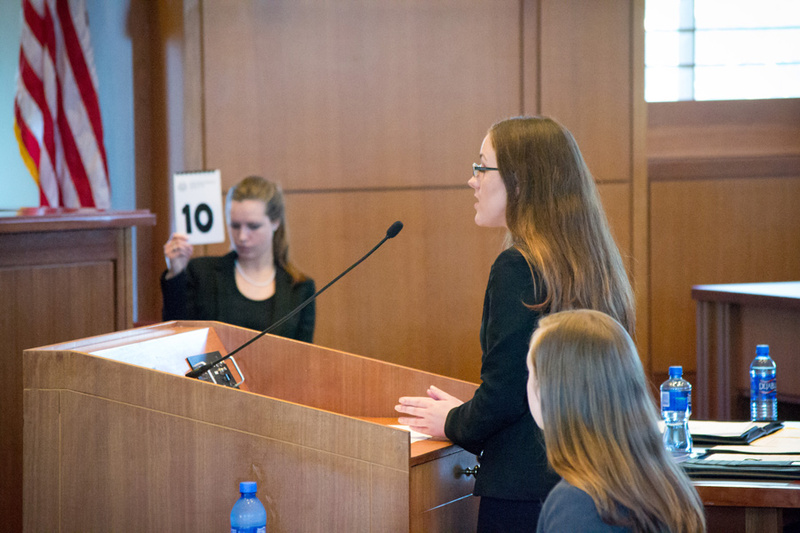 Now in its eighth year, Top Gun quickly earned prestige and is known as one of the top major national mock trial competitions in the nation. Top Gun is an invitation-only mock trial tournament that attracts the best advocates from the nation's top advocacy schools. Along with its nationally ranked and rigorous trial advocacy program, Baylor Law also features a transactional law program lead by renowned national experts such as Professors Elizabeth Miller and Tom Featherston. 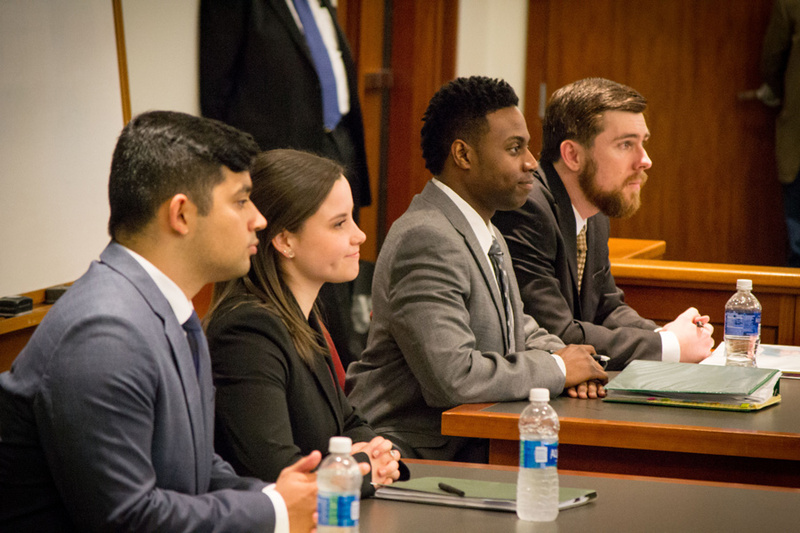 Baylor Law transactional teams compete in transactional, intellectual property, and entrepreneurial start-up competitions across the country. This year, Baylor Law launched The Closer--an innovative, invitation-only, transactional law competition for law students across the nation. By disclosing the problem only 24 hours prior to the first rounds of competition, The Closer challenges competitors to negotiate a term sheet that best represented the client's wishes precisely and efficiently. "At Baylor Law, we unceasingly emphasize that the legal profession is a service profession," Toben said. "Being prepared to serve to protect a client’s business interests, family interest, or even the client’s liberty, is why advocacy is central to all we do."